One year after an earthquake struck communities in Marlborough and North Canterbury, people are on the road to recovery. It was just after midnight when the magnitude 7.8 earthquake struck the South Island in November 2016. There were 11,500 aftershocks in the eight weeks following the earthquake which left communities on edge. One year later, a lot of work has been done to help people pick up the pieces, but many of the scars from that night remain. Some are still living in damaged homes, caravans, or sheds, awaiting insurance claims, as well as dealing with the ongoing psychological impact of what happened. In late October, a magnitude 5.6 earthquake hits and, for many, that's all it takes for memories to come flooding back. "It doesn’t take much to bring it back," explains Wendy Hodgen, owner of the Hawarden Four Square in Hurunui. Today Wendy is receiving a certificate of appreciation from Red Cross for her support of the Hurunui Winter Care Packs. Around 500 of the boxes were delivered throughout Marlborough and North Canterbury as people struggled through the winter. Inside were hot water bottles, socks, blankets, beanies, and other little goodies to keep people going through the colder months. "People have been under a lot of pressure and it's been awesome to have the Red Cross around to recognise that and give support to the community. It's just little things that give them a wee boost and show that there are people out there who care for them as well, that they're not just there struggling by themselves." Another 50km down the road in Waiau, Jenny Holt is getting ready to pick her kids up from school. Jenny and her husband have been living in the small community on State Highway 7 for three years. It was the first time the family had experienced an earthquake of that magnitude. "We used to live in Little River and would feel some teeny tiny little [earthquakes] and go 'ohhhh that was a big one'. It wasn’t, it was nothing compared to November," she says. Evidence of the night remains, windows are cracked, the floors slope, and the collapsed chimney is still out of action. It was a tough winter for many in the community. Jenny’s partner has had to find work in Kaikoura so he’s away for 2-3 weeks at a time. Without a working chimney, the only relief they had from the cold was a heat pump, but it was expensive to run. The family received an electricity grant through Red Cross and Community Energy Action, which Jenny says made a huge difference because the power was about to be shut off. She says many in the community are still doing it tough. Despite everything, Jenny remains upbeat and says having community support has helped them through the hard times. The town is in the process of setting up a community garden, which will be supported by Red Cross, in an effort to sustain the sense of community that emerged in the aftermath of the earthquake, and help the town recover. "My faith in humanity is huge." In rural Hurunui, Tina and Jeremy Johnston didn't have a town full of people to fall back on after the earthquake. They own a deer farm, miles from the nearest urban hub and road closures meant they were isolated for weeks after it happened. The couple spent several months living in a caravan before managing to set-up a temporary prefab house, which they’ve made as homely as possible while they wait for their new homestead plans to be approved. Despite the farming couple’s self-sufficiency, Tina admits it has still been a taxing experience. Tears spring to Tina’s eyes when she thinks about the support they’ve received, from friends, family, strangers, and organisations, including a winter care package from Red Cross. "The road rules your life." The town of Kaikoura is still struggling to come to terms with its isolation. The main road in and out of town is State Highway 1, which remains closed after landslips effectively cut the town off. The inland route to Christchurch has since reopened but being able to use it is dependent on weather conditions. It was often closed over the winter months, leaving people unsure if they could get in or out. The uncertainty was tough for residents, many of whom work in Christchurch or Blenheim or have family members there. Shirley Unwin-Pye, says she hasn't seen her son and his family for over a year because of the road closure. It takes seven hours for them to reach each other whereas it used to take an hour and a half. "It’s just too far and quite often I was working at the weekend so you just never get to see them." Shirley attends The Crafty Place drop-in centre, a place for people to get together and connect over crafty activity, which is supported by Red Cross. Today there are six women gathered, some knitting, others drawing, and one sewing. They talk about their experiences during the earthquake and what’s happening around town since. The group is an important part of the weekly routine for many of them, who say they would be socially isolated without it. "It just takes your mind off other things. If you're talking to somebody that takes the pressures off them," says Viv Butcher who has lived in Kaikoura for almost 50 years. "I love this group here. I like the camaraderie, it's been great having the Red Cross help us along." This social connectedness is an important part of the recovery process. Having a shoulder to lean on or talk through issues with can make all the difference to people in difficult situations. Although communities affected by the earthquake have found support and comfort with each other, many agree that there is still a long way to go. 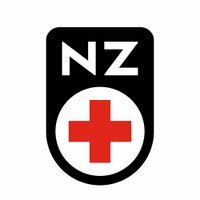 In recognition that the recovery journey is a marathon, not a sprint, New Zealand Red Cross will be active in affected communities for the long term, finding ways to make communities stronger and more resilient. To find out more about how Red Cross has been supporting communities affected by the earthquake, visit our website www.redcross.org.nz.